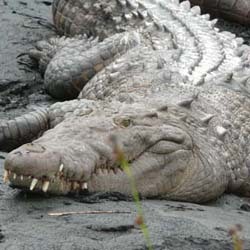 Buc is a male American Crocodile. 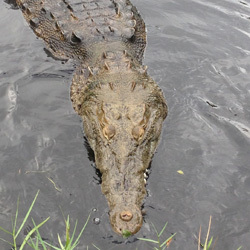 This crocodile is the largest animal at Croc Encounters at over 12 feet long. He has been at the sanctuary since 2005. Buc came from an education zoo in Marion County, FL. Initially he was placed in a large earth pond along with his brother, Seminole. The two had been housed together their whole lives but after the move from the zoo, Buc established the new enclosure as his territory. He would not allow Seminole into the water and would not allow him to eat. The two were separated and they have both been doing well on their own since then. One of Buc’s favorite things to do is dig holes in his enclosure. He is a big boy and he has burrowed holes long enough for his entire body to fit completely into. Buc was moved from his original pond to a new earth pond. Since then his pond has been redone several times and he was finally moved into a larger enclosure inhabited by large alligators and another crocodile. 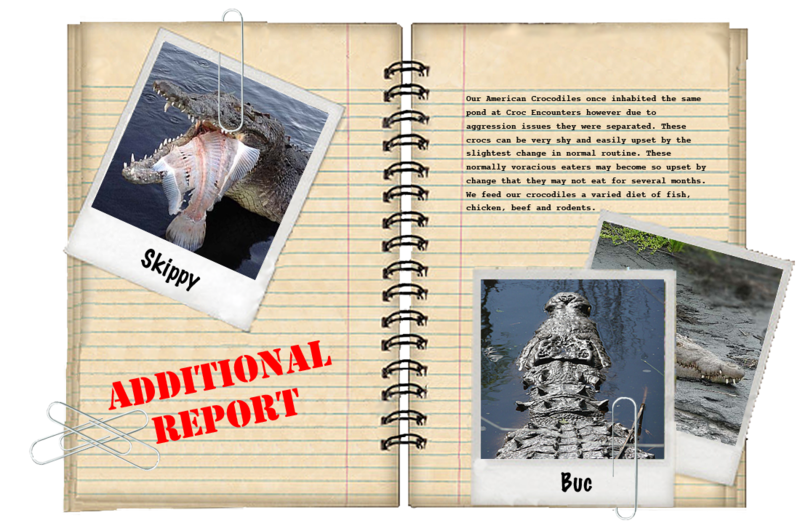 After it was determined that had become to aggressive he was moved to a concrete pond with the help of Animal Planet’s Gator Boys. Skippy was a nuisance American crocodile who was given to us by Florida Fish and Wildlife after having been relocated on several locations. 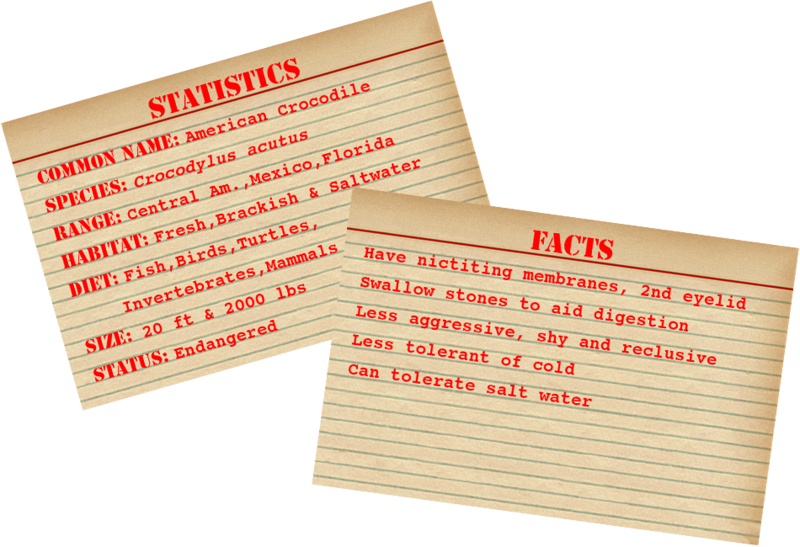 American Crocodiles are found in a small population in southern Florida and Skippy originally came from Turkey Point. If you look closely at his tail scutes you can see where he was marked by FWC officials as a hatchling. Skippy came to us in 2008 and was approximately 7 feet in length at the time. Since then he has settled into his new home and grown considerably.